The picture above is the view from one of my favorite hiking places. 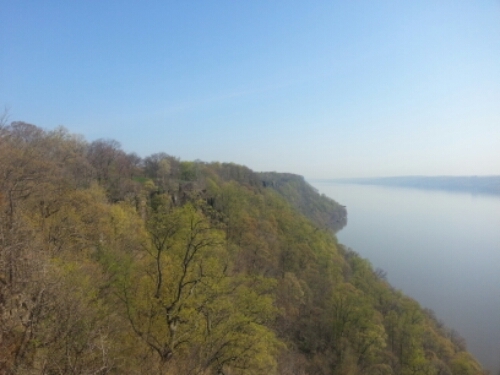 I often walk along the cliffs of the Palisades overlooking the Hudson or journey down towards the rivers edge. The Hudson River gets a bad reputation due to pollution but if anyone is to blame for that it is us for sure. There is so much beauty to be had no matter where you live but you might have to actually leave the house to find but you won’t be disappointed you did.